12:30pm departure from the Scarborough Cycles tent at the Toronto East Bike Festival at Oakridge Park. 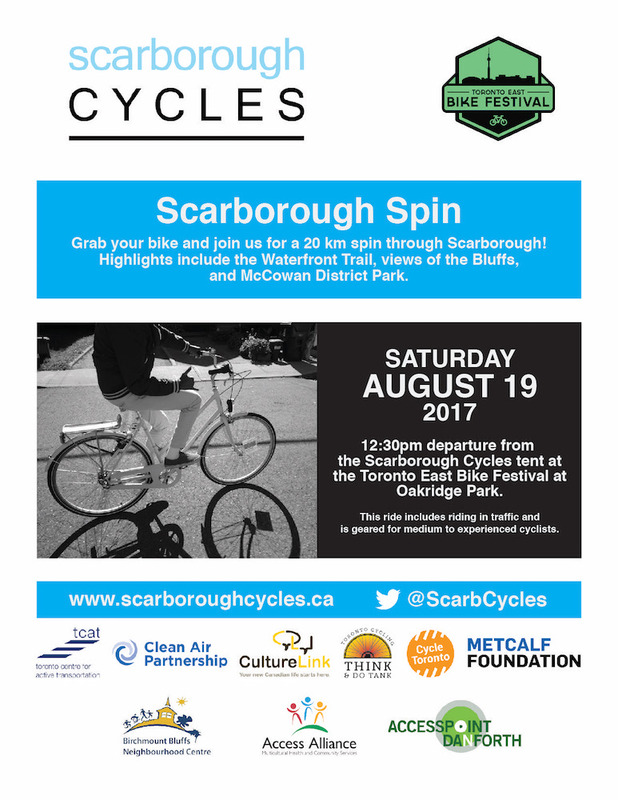 Grab your bike and join us for a 20 km spin through Scarborough! Highlights include the Waterfront Trail, views of the Bluffs, and McCowan District Park. This ride includes riding in traffic and is geared for medium to experienced cyclists.